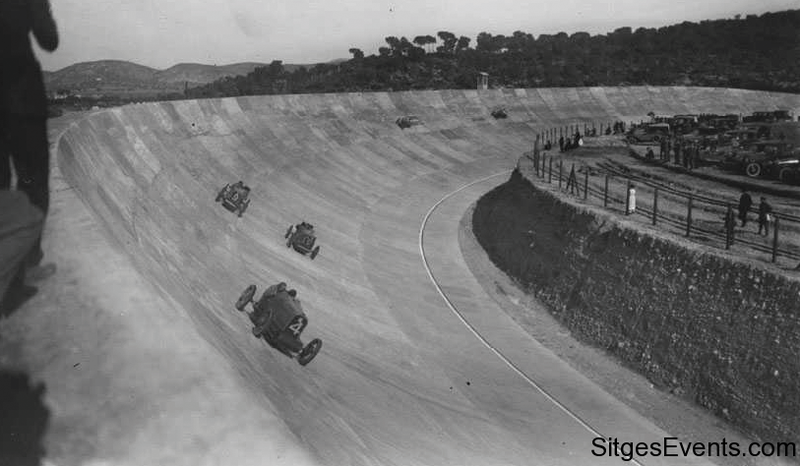 An old Grand Prix Racetrack Circuit in Sitges, Catalunya, near Barcelona, Spain where races & competition were held. As a prestige venue for events and activities in motorsport. PROJECT PRESENTATION OF TERRAMAR AUTODROMO . Sant Pere de Ribes. November 2013 . 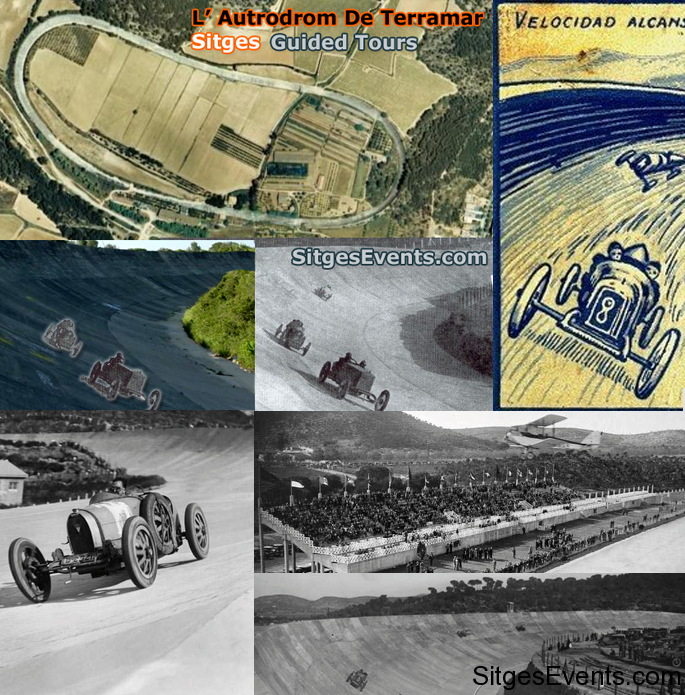 The Terramar Autodrome , the first circuit of Spain , was designed by the Catalan architect Jaume Mestres tanks . It was built in just 300 days , a record for the time, and the cost was 4 million pesetas. 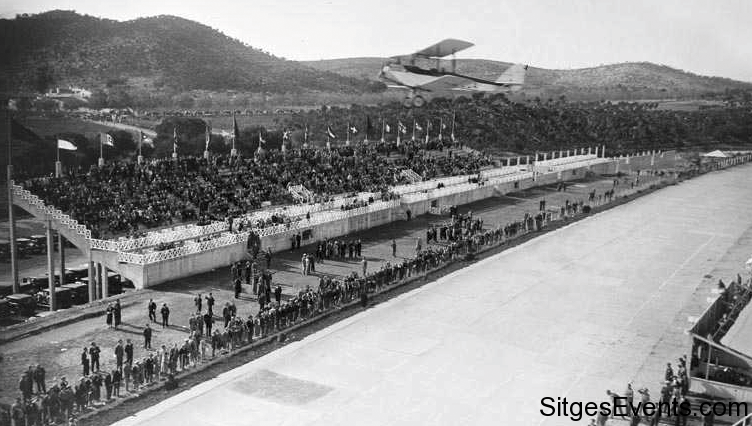 It opened on October 28, 1923 to celebrate the first Grand Prix of Spain Formula 1 , exactly 90 years ago , by King Alfonso XIII and Miguel Primo de Rivera , along with Sabadell Francesc Armengol , promoter of urbanization Terramar in Sitges and one of the main investors Speedway . 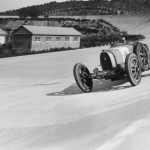 At the time of its construction in Europe were only the Brooklands circuit in the UK and Monza in Italy. In the U.S., Indianapolis. The high investment to build the racetrack coupled with the economic problems of the promoters , forced to foreclose on the collection of entries , and not being able to pay the prizes to the winners, led to the enactment of the International Automobile Federation ( AIACR ) that forbade holding more international qualifying races . In 1932, the Speedway was acquired by a large fan , aristocrat and pilot , Edgar Morawitz , who organized some races and show evidence, such as the challenge between planes and cars , even managed to hold the Championship of Spain of motorcycles, but never with benefits economic . The last competition was in 1956 and has since fallen into disuse, although many fans who travel to Terramar to admire , and in 2012 , pilots Miquel Molina Carlos Sainz and tested their skill with an Audi R8 on the track Speedway . Until motorcycle rider Jorge Lorenzo , did the same in September 2013 with a Porsche 911. The Terramar Autodrome circuit is oval type and has a length of 2 km and a track width of 20 meters, made ​​of concrete slabs 12 inches thick , are remarkable and identity of their banked 60-90 degrees at its top, is today the world’s single circuit oval and has remained intact since the time of its inauguration. In November 2013 , just 90 years after its inauguration , the company from Terramar VIP SL, current owner of Terramar Autodrome , is the president recover , renew and condition the extraordinary historical heritage bequeathed by this circuit. 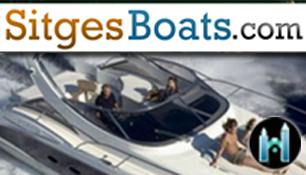 Result of private initiative and unique in the world, designed to promote and excel , offering excellence and cutting edge in the panorama engine in Europe and in the world . 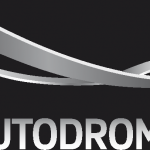 The Autodromo Terramar is not going to be a race or competition engine , but a road course modernly renovated , retaining its original identity design, destined to events and activities at the highest level of motorsport will be held . 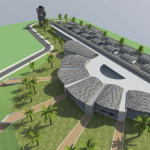 The originality of the project and the international category of companies that support it make the Terramar Autodrome ambitious future a compendium of unique historical essence . The draft report today and is in full development , involves the construction of a complex engine dedicated to the world with 6 distinct parts but they all will coexist together the passion for the engine, with the enjoyment of the landscape, and economic activity, in addition to ensuring the conservation of a single piece of global automotive heritage. 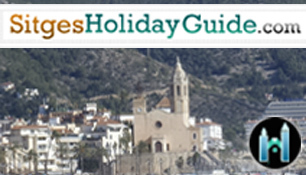 Located in the municipality of Sant Pere de Ribes , Province of Barcelona and the Garraf , the city of Barcelona is connected with direct access to the C -32 highway to 40 miles away. The current approach allows tertiary use , and 50 acres land available to allow a major constructability, around 90,000 m2 above ground. 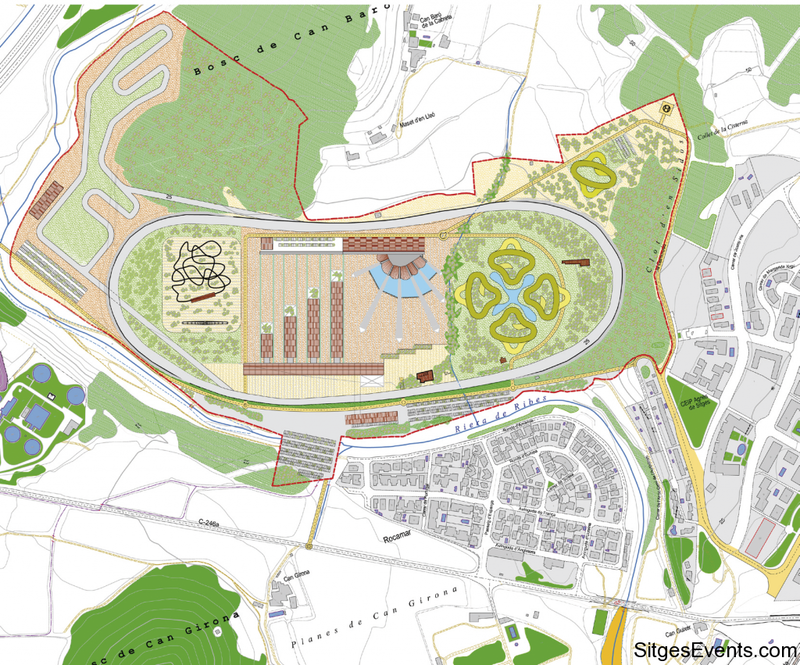 The original oval circuit Speedway will be restored, renovated and soundproofed, and also a karting circuit will be built , with a length of 3 kilometers , on an adjacent and external to the oval farm in the west called the Manigua , which will be connected with the principal and can simultaneously track oval function autonomously, as have its own building with surface1,400 m2 with independent access and parking.This karting circuit is internationally certified and become a benchmark for pilot training elite circuit events focused on driving safety , pilot school , school education and road safety and efficient driving school .The existing grandstand and opened in 1923 , also historical heritage will be restored and recovered to its original use . Inside there is a concrete structure architecturally very interesting to be retained and provide a new glass facade most appropriate to the times and the first image will receive the visitor. The current area is 1,500 m2. LUDICA & COMMERCIAL AREAThe leisure and commercial area is organized inside the oval lengthwise building facing the track and onto a large plaza, which also placed the Motor Museum. 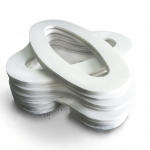 They are modular structures with recycled rubber tires in a circular are the most characteristic element of the set , reminiscent of turn the tires of cars and motorcycles and the cellars of the environment. The surface of the leisure and commercial area is 15,000 m2 and has 136 local 100 m2. It is the dominant building in the main square of the shopping area, with a fanned structure radially. 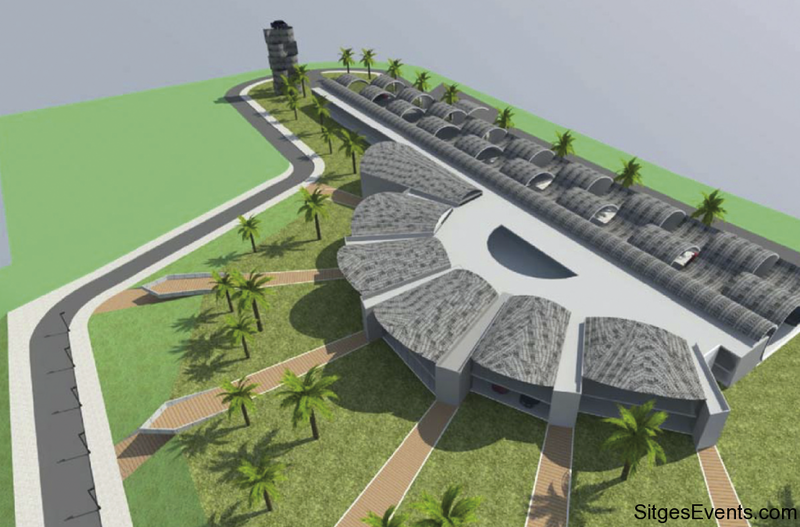 It will be a modular complex with fully equipped rooms for meetings, conventions and conferences , arrange art gallery and holding auctions, and halls for exhibiting collections of vehicles. There schools future engine for holding courses on engineering and clinical expert mechanics and graduation will be created. The area is 6,000 m2. Unique in Europe , with amusement park with great facilities for technological innovation -oriented amusement and enjoyment of families. The area is about 45,000 m2 with separate access and parking. Building located on the outside of the oval and in the northeast , circular and sinusoidal shapes in the language of the racetrack itself and in this way also the impact on the landscape is less . 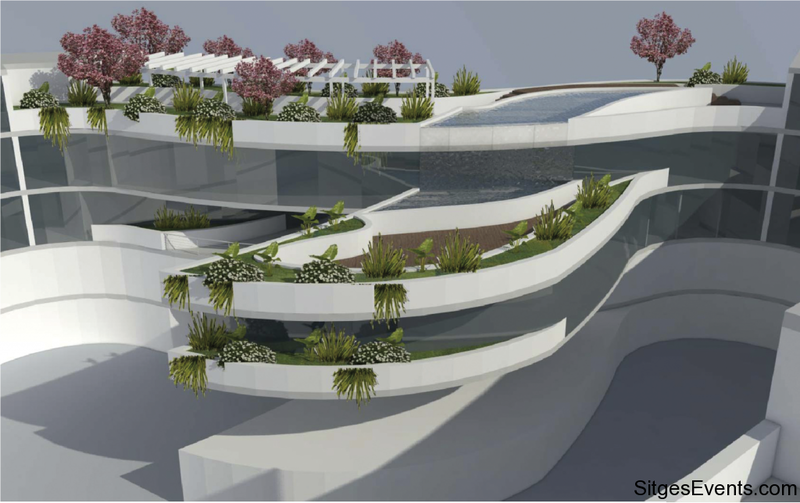 It is designed with vegetable gardens and interior environments that integrate with the architecture itself and cause the appearance of spaces of great spatial richness , and its forms through endless terraces focused Speedway views are created. It has 110 rooms , 24 suites and 24 apartments. All rooms will be customized with the names of the most emblematic drivers. history of motorsport and motorcycling . 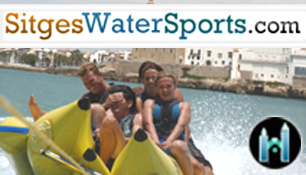 It offers spa services , restaurants , meeting rooms , gardens , swimming pools, parking and separate access to the Speedway . The area is about 12,000 m2 on a plot of 70,000 m2.In the Autodromo Terramar Project creating a unique company in Europe dedicated to catering “Premium” all kinds of classic vehicles is also included , featuring the legend and great architectural gem as location footage films and commercials , and organize and celebrate the great festival of music virtuoso advantage and exceptional acoustics west curve steepness . 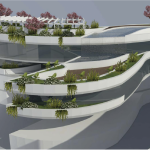 The project is located in the offices of the technical department , Poch Architecture of Barcelona , making the partial plan and the proposed development . The planned investment is 240 million euros through a syndicated loan of several national and international financial institutions , and a group of private investors of different nationalities . PRESENTACIÓ DEL PROJECTE autòdrom de Terramar . Sant Pere de Ribes . Novembre de 2013. L’Autòdrom de Terramar , el primer circuit d’Espanya , va ser dissenyat per l’arquitecte català Jaume Mestres Fosses . 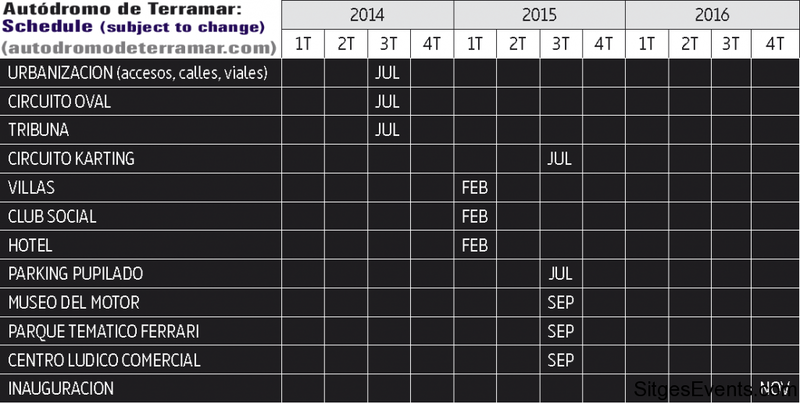 Es va construir en només 300 dies , tot un rècord per a l’època , i el seu cost va ser de 4 milions de pessetes . Es va inaugurar el 28 d’octubre de 1923 amb motiu de la celebració del Primer Gran Premi d’Espanya de Fórmula 1, fa exactament 90 anys , pel rei Alfons XIII i Miguel Primo de Rivera , juntament amb el sabadellenc Francesc Armengol , promotor de la urbanització de Terramar a Sitges i un dels principals inversors del Autòdrom . 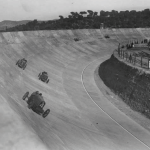 En el moment de la seva construcció a Europa només existien els circuits de Brooklands al Regne Unit i el de Monza a Itàlia . Als EUA , el d’Indianàpolis . L’elevada inversió per a la construcció de l’Autòdrom sumada als problemes econòmics dels promotors , van forçar a embargar la recaptació de les entrades , i al no poder-se pagar els premis als guanyadors , va provocar la sanció de la Federació Internacional de l’Automòbil ( AIACR ) que prohibir la celebració de més curses puntuables internacionals . 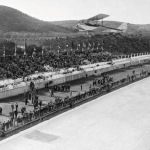 El 1932 , l’Autòdrom va ser adquirit per un gran aficionat , aristòcrata i pilot , Edgar de Morawitz , que va organitzar algunes carreres i proves espectacle , com el desafiament entre avionetes i cotxes , fins aconseguir celebrar el Campionat d’Espanya de motos , però mai amb beneficis econòmics . L’última competició va ser el 1956 i des de llavors està en desús , encara que són molts els aficionats que es traslladen fins Terramar per admirar-lo, i el 2012 , els pilots Carlos Sainz i Miquel Molina van posar a prova la seva destresa amb un Audi R8 sobre la pista del Autòdrom . Fins el pilot de motociclisme Jorge Lorenzo , va realitzar el mateix al setembre de 2013 amb un Porsche 911 . 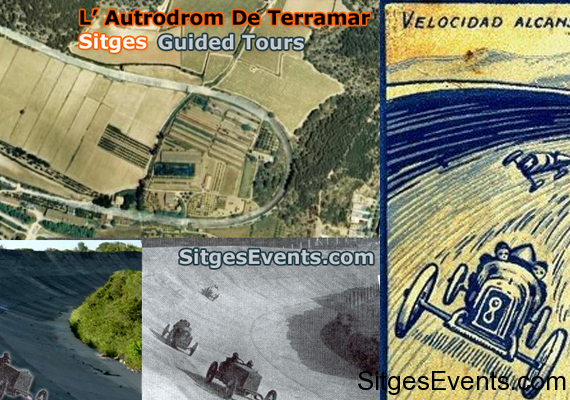 El circuit del Autòdrom de Terramar és de tipus oval i té una longitud de 2 quilòmetres i una amplada de pista de 20 metres , fet amb plaques de formigó de 12 centímetres de gruix , són notables i identitaris seus peralts de 60 a 90 graus en el seu part més alta , sent avui l’únic circuit del món de forma oval i que s’ha conservat intacte des del moment de la seva inauguració . Al novembre de 2013 , just 90 anys després de la seva inauguració , des de l’empresa VIP Terramar SL , actual propietària del Autòdrom de Terramar , és mandatari el recuperar , renovar i condicionar l’extraordinari patrimoni històric llegat per aquest circuit . 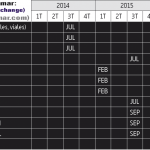 Fruit de la iniciativa privada i únic al món , que pretén dinamitzar i sobresortir , oferint l’excel · lència i l’avantguarda en el panorama del motor a Europa i al món . L’Autòdrom de Terramar no és ni serà un circuit de carreres ni de competicions del motor , sinó un autòdrom modernament remodelat , conservant el seu disseny original i d’identitat , destinat a que se celebrin esdeveniments i activitats del més alt nivell del món del motor . L’originalitat del projecte i la categoria internacional de les empreses que hi donen suport fan del Autòdrom de Terramar un compendi d’ambiciós futur i única essència històrica . El projecte que avui presentem i que està en ple desenvolupament , consisteix en la construcció d’un complex dedicat al món del motor amb 6 parts ben diferenciades però que totes elles en conjunt faran coexistir la passió pel motor , amb el gaudi del paisatge , i l’activitat econòmica , a més de vetllar per la conservació d’una peça única del patrimoni automobilístic mundial . Situat al terme municipal de Sant Pere de Ribes , província de Barcelona ia la comarca del Garraf , la cuideu de Barcelona es troba comunicada amb accés directe per l’autopista C -32 a 40 quilòmetres de distància . El plantejament actual permet l’ús terciari , i les 50 hectàrees que disposa el terreny , permeten una important edificabilitat , al voltant dels 90.000 m2 sobre rasant . 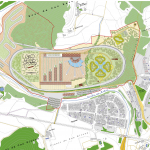 El circuit oval original del Autòdrom serà restaurat , renovat i insonoritzat , ia més es construirà un circuit de kàrting, amb una longitud de 3 quilòmetres , en una finca contigua i externa a l’oval , al sector oest anomenat de la Manigua , que quedarà connectat amb la pista oval principal i podrà alhora funcionar autònomament , ja que disposarà d’un edifici propi amb superfície de1.400 m2 amb accés i aparcament independents.Aquest circuit de kàrting estarà homologat internacionalment i es convertirà en una referència mundial per a l’entrenament de pilots d’elit , circuit d’esdeveniments centrats en la seguretat en la conducció , escola de pilots , escola d’educació i seguretat viària , i escola de conducció eficient.La tribuna existent i inaugurada el 1923 , patrimoni històric també , serà restaurada i recuperada per al seu ús original . En el seu interior hi ha una estructura de formigó molt interessant arquitectònicament que es conservarà i es farà una nova façana de vidre més adequada als temps actuals i serà la primera imatge que rebrà el visitant . La superfície actual és de 1.500 m2. ZONA LUDICA I COMERCIALLa zona lúdica i comercial s’organitza a l’interior de l’oval , mitjançant un edifici longitudinal enfrontat a la pista i que dóna a una gran plaça , on també s’ubicarà el Museu del Motor . Es tracta d’estructures modulars , amb cobertes de cautxú reciclat en forma circular són l’element més característic del conjunt , que recorda al seu torn als pneumàtics dels cotxes i motos ia les caves de l’entorn . La superfície de la zona lúdica i comercial és de 15.000 m2 i disposa de 136 locals de 100 m2. És l’edifici predominant a la plaça principal de la zona comercial , amb una estructura ventada de forma radial . Serà un complex modular amb sales totalment equipades per a reunions, convencions i congressos , disposarà de galeria d’art i celebració de subhastes , i sales per a l’exposició de col · leccions de vehicles . Allà es crearan les futures escoles del motor , per a la celebració de cursos i clínics sobre enginyeria i graduació d’experts mecànics . La superfície és de 6.000 m2. Únic a Europa , amb parc d’atraccions amb instal · lacions de gran innovació tecnològica orientades al divertiment i gaudi de les famílies . La superfície és de 45.000 m2 i accés amb aparcament independent. HOTELEdifici situat a la part exterior de l’oval ia la zona nord-est , de formes circulars i sinusoïdals seguint el llenguatge del propi autòdrom ja que d’aquesta manera també l’impacte en el paisatge és menor . Està concebut amb ambients vegetals i jardins interiors que s’integren amb la pròpia arquitectura i provoquen l’aparició d’uns espais de gran riquesa espacial , i que a través de les seves formes es creen interminables terrasses enfocades a les vistes del Autòdrom . Disposa de 110 habitacions , 24 suites i 24 apartaments . Totes les habitacions estaran personalitzades amb els noms dels pilots més emblemàtics de la història de l’automobilisme i del motociclisme . Ofereix els serveis de spa , restaurants , sales de reunions , jardins , piscines , aparcament i accés independent al Autòdrom . La superfície és de 12.000 m2 sobre una parcel · la de 70.000 m2.En el Projecte Autòdrom de Terramar també s’inclou la creació d’una gran empresa única a Europa dedicada al servei de restauració ” Premium ” de tot tipus de vehicles clàssics , el oferir aquesta llegenda i gran joia arquitectònica com localització de filmacions cinematogràfiques i publicitàries , i el poder organitzar i celebrar un gran festival de música aprofitant la virtuosa i excepcional acústica del peralt de la corba oest . El projecte es troba en els despatxos de la direcció facultativa , Poch Arquitectura de Barcelona , realitzant el pla parcial i el projecte d’urbanització . La inversió prevista és de 240 milions d’euros , mitjançant un finançament sindicat entre diverses entitats financeres nacionals i una internacional, a més d’un grup d’inversors privats de diverses nacionalitats . PRESENTACION DEL PROYECTO AUTODROMO DE TERRAMAR. Sant Pere de Ribes. Noviembre de 2013. El Autódromo de Terramar, el primer circuito de España, fue diseñado por el arquitecto catalán Jaume Mestres Fosas. Se construyó en solo 300 días, todo un record para la época, y su coste fue de 4 millones de pesetas. Se inauguró el 28 de Octubre de 1923 con motivo de la celebración del Primer Gran Premio de España de Fórmula 1, hace exactamente 90 años, por el rey Alfonso XIII y Miguel Primo de Rivera, junto con el sabadellense Francesc Armengol, promotor de la urbanización de Terramar en Sitges y uno de los principales inversores del Autódromo. En el momento de su construcción en Europa solo existían los circuitos de Brooklands en el Reino Unido y el de Monza en Italia. En EEUU, el de Indianápolis. La elevada inversión para la construcción del Autódromo sumada a los problemas económicos de los promotores, forzaron a embargar la recaudación de las entradas, y al no poderse pagar los premios a los ganadores, provocó la sanción de la Federación Internacional del Automóvil (AIACR) que prohibió la celebración de más carreras puntuables internacionales. 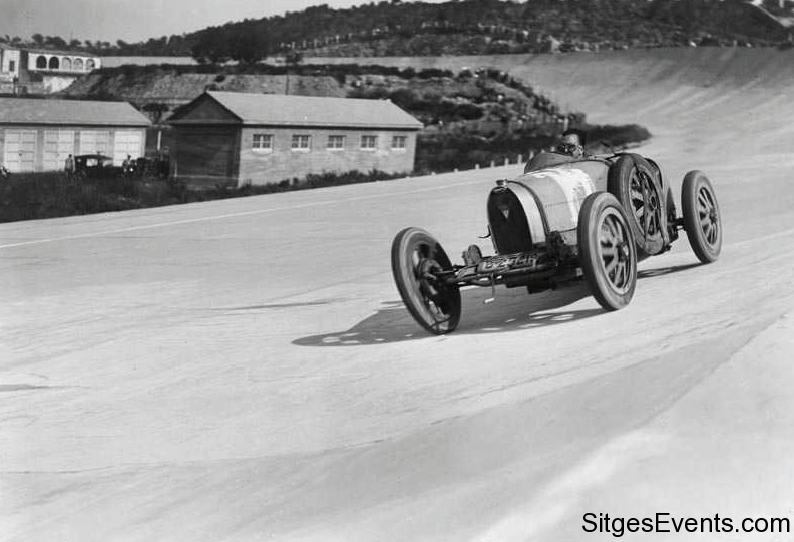 En 1932, el Autódromo fue adquirido por un gran aficionado, aristócrata y piloto, Edgar de Morawitz, que organizó algunas carreras y pruebas espectáculo, como el desafío entre avionetas y coches, hasta consiguió celebrar el Campeonato de España de motos, pero nunca con beneficios económicos. La última competición fue en 1956 y desde entonces está en desuso, aunque son muchos los aficionados que se trasladan hasta Terramar para admirarlo, y en 2012, los pilotos Carlos Sainz y Miquel Molina pusieron a prueba su destreza con un Audi R8 sobre la pista del Autódromo. Hasta el piloto de motociclismo Jorge Lorenzo, realizó lo mismo en Septiembre de 2013 con un Porsche 911. El circuito del Autódromo de Terramar es de tipo oval y tiene una longitud de 2 kilómetros y una anchura de pista de 20 metros, hecho con placas de hormigón de 12 centímetros de espesor, son notables e identitarios sus peraltes de 60 a 90 grados en su parte más alta, siendo hoy el único circuito del mundo de forma oval y que se ha conservado intacto desde el momento de su inauguración. En Noviembre de 2013, justo 90 años después de su inauguración, desde la empresa VIP Terramar SL, actual propietaria del Autódromo de Terramar, es mandatario el recuperar, renovar y acondicionar el extraordinario patrimonio histórico legado por este circuito. Fruto de la iniciativa privada y único en el mundo, que pretende dinamizar y sobresalir, ofreciendo la excelencia y la vanguardia en el panorama del motor en Europa y en el mundo. El Autódromo de Terramar no es ni va a ser un circuito de carreras ni de competiciones del motor, sino un autódromo modernamente remodelado, conservando su diseño original y de identidad, destinado a que se celebren eventos y actividades del más alto nivel del mundo del motor. La originalidad del proyecto y la categoría internacional de las empresas que lo apoyan hacen del Autódromo de Terramar un compendio de ambicioso futuro y única esencia histórica. El proyecto que hoy presentamos y que está en pleno desarrollo, consiste en la construcción de un complejo dedicado al mundo del motor con 6 partes bien diferenciadas pero que todas ellas en conjunto harán coexistir la pasión por el motor, con el disfrute del paisaje, y la actividad económica, además de velar por la conservación de una pieza única del patrimonio automovilístico mundial. Situado en el término municipal de Sant Pere de Ribes, provincia de Barcelona y en la comarca del Garraf, la cuidad de Barcelona se encuentra comunicada con acceso directo por la autopista C-32 a 40 kilómetros de distancia. El planteamiento actual permite el uso terciario, y las 50 hectáreas que dispone el terreno, permiten una importante edificabilidad, alrededor de los 90.000 m2 sobre rasante. El circuito oval original del Autódromo será restaurado, renovado e insonorizado, y además se construirá un circuito de karting, con una longitud de 3 kilómetros, en una finca contigua y externa al óvalo, en el sector oeste denominado de la Manigua, que quedará conectado con la pista oval principal y podrá a la vez funcionar autónomamente, ya que dispondrá de un edificio propio con superficie de1.400 m2 con acceso y aparcamiento independientes.Este circuito de karting estará homologado internacionalmente y se convertirá en una referencia mundial para el entrenamiento de pilotos de élite, circuito de eventos centrados en la seguridad en la conducción, escuela de pilotos, escuela de educación y seguridad vial, y escuela de conducción eficiente.La tribuna existente e inaugurada en 1923, patrimonio histórico también, será restaurada y recuperada para su uso original. En su interior existe una estructura de hormigón muy interesante arquitectónicamente que se conservará y se hará una nueva fachada acristalada más adecuada a los tiempos actuales y será la primera imagen que recibirá el visitante. La superficie actual es de 1.500 m2. ZONA LUDICA Y COMERCIALLa zona lúdica y comercial se organiza en el interior del óvalo, mediante un edificio longitudinal enfrentado a la pista y que da a una gran plaza, donde también se ubicará el Museo del Motor. Se trata de estructuras modulares, con cubiertas de caucho reciclado en forma circular son el elemento más característico del conjunto, que recuerda a su vez a los neumáticos de los coches y motos y a las cavas del entorno. La superficie de la zona lúdica y comercial es de 15.000 m2 y dispone de 136 locales de 100 m2. MUSEO DEL MOTOREs el edificio predominante en la plaza principal de la zona comercial, con una estructura abanicada de forma radial. 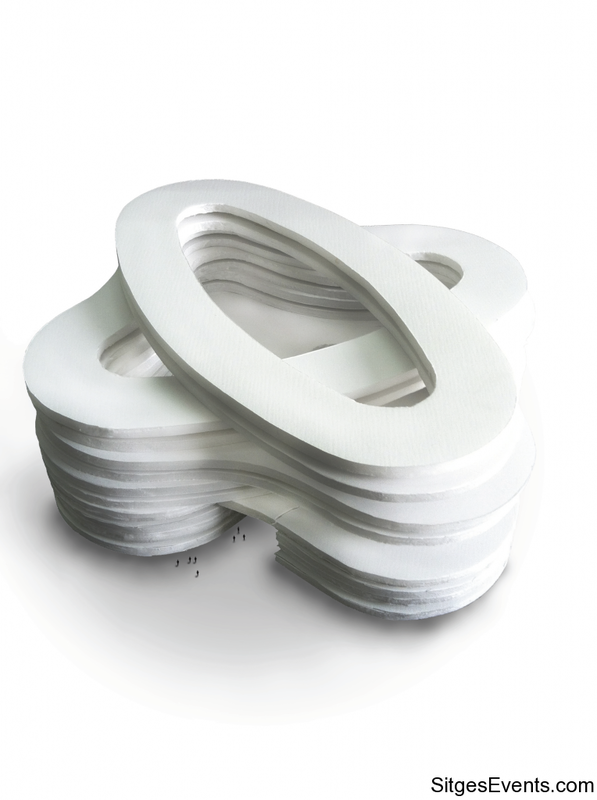 Será un complejo modular con salas total-mente equipadas para reuniones, convenciones y congresos; dispondrá de galería de arte y celebración de subastas, y salas para la exposición de colecciones de vehículos. Allí se crearán las futuras escuelas del motor, para la celebración de cursos y clínicos sobre ingeniería y graduación de expertos mecánicos. La superficie es de 6.000 m2. Único en Europa, con parque de atracciones con instalaciones de gran innovación tecnológica orientadas al divertimento y disfrute de las familias. La superficie es de 45.000 m2 y acceso con aparcamiento independiente. CLUB SOCIAL. VILLAS. APARCAMIENTOS DE PUPILAJE. El Club Social se ubica en el palacio del siglo XVIII llamado Torre del Clot dels Frares y ya existente en el interior del óvalo, muy próximo a la tribuna. También se restaurará y dispondrá de todos los servicios de un club privado como restaurante, salas de reuniones, vestuarios y oficinas. La superficie es de 1.200 m2.Se prevé la construcción de un complejo de Villas, destinadas a los socios del Club, sobre una superficie de 32.000 m2, en 4 edificios de formas sinusoidales implantados en la zona este del Autódromo y concebidos como grandes macetas verdes en un entorno muy poblado de naturaleza y arbolado autóctono, en los que las cubiertas vegetales predominan en las fachadas. Desde las Villas se podrá visionar las actividades que se desarrollen en el Autódromo. Se trata de 4 edificios de poco impacto visual en planta baja y 3 niveles, con formas inspiradas en el movimiento y velocidad del propio Autódromo. El conjunto dispone de aparcamiento subterráneo, jardines interiores y exteriores con piscinas. Son 133 Villas de 200 m2 con 2 plazas de aparcamiento y trastero por propiedad. Edificio situado en la parte exterior del óvalo y en la zona noreste, de formas circulares y sinusoidales siguiendo el lenguaje del propio autódromo ya que de esta forma también el impacto en el paisaje es menor. Está concebido con ambientes vegetales y jardines interiores que se integran con la propia arquitectura y provocan la aparición de unos espacios de gran riqueza espacial, y que a través de sus formas se crean interminables terrazas enfocadas a las vistas del Autódromo. Dispone de 110 habitaciones, 24 suites y 24 apartamentos. Todas las habitaciones estarán personalizadas con los nombres de los pilotos más emblemáticos de la historia del automovilismo y del motociclismo. 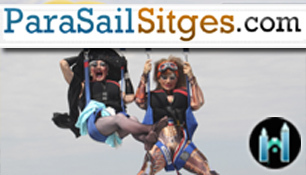 Ofrece los servicios de spa, restaurantes, salas de reuniones, jardines, piscinas, aparcamiento y acceso independiente al Autódromo. La superficie es de 12.000 m2 sobre una parcela de 70.000 m2. En el Proyecto Autódromo de Terramar también se incluye la creación de una gran empresa única en Europa dedicada al servicio de restauración “Premium” de todo tipo de vehículos clásicos; el ofrecer esta leyenda y gran joya arquitectónica como localización de filmaciones cinematográficas y publicitarias; y el poder organizar y celebrar un gran festival de música aprovechando la virtuosa y excepcional acústica del peralte de la curva oeste. El proyecto se encuentra en los despachos de la dirección facultativa, Poch Arquitectura de Barcelona, realizando el plan parcial y el proyecto de urbanización. La inversión prevista es de 240 millones de euros, mediante una financiación sindicada entre varias entidades financieras nacionales y una internacional, además de un grupo de inversores privados de varias nacionalidades.